There is a pizza company here in the North Texas area called iFratelli. Hands down, it is the best pizza I have ever tasted. One of the pizzas on their menu is called Staff Special. 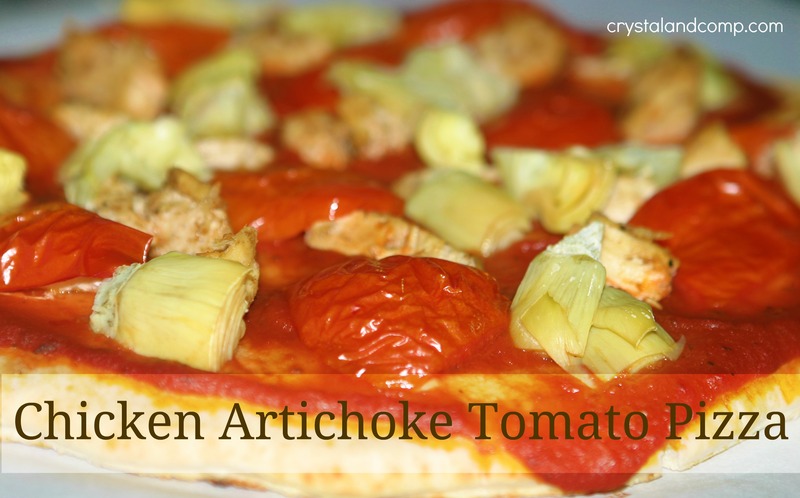 It has chicken, tomatoes and artichoke on it. I decided to make it at home. 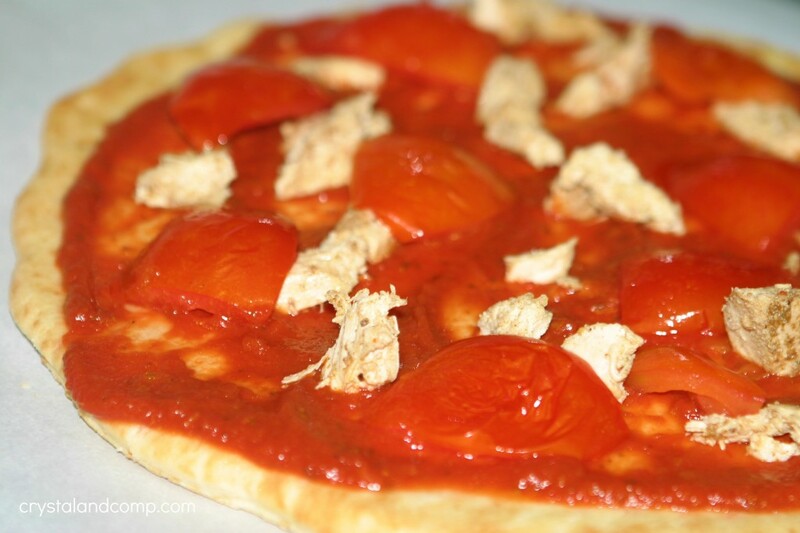 This is a super easy pizza to make and a great way to use up leftover chicken. 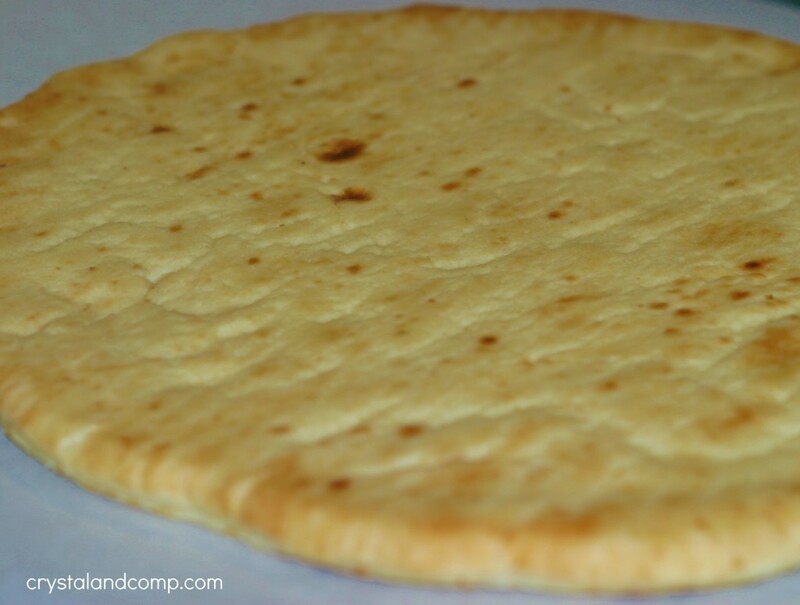 One of the signature elements of the iFratelli pizza is it’s super thin and crispy pizza crust. If you know how to make a crust like that go for it. I just grabbed a pre-made crust from the store and it saved me lots of time. Place the crust on a cookie sheet. I cover my cookie sheets in parchment paper to make clean up easy. 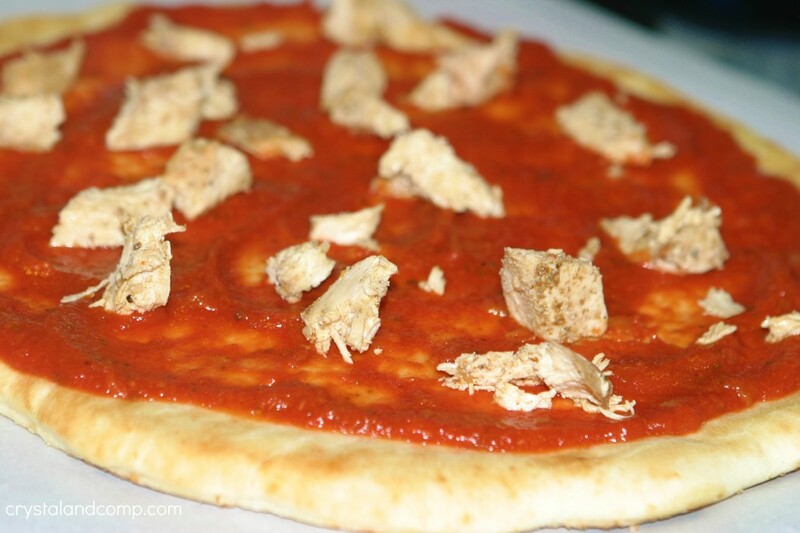 Evenly spread the pizza sauce over the crust. Add the cooked (leftover) chicken. I used leftover chicken breast from our Crockpot Cafe Rio Chicken from earlier in the week. These are from my neighbors garden and they had been frozen. No worries. Pop the pizza in a 350 degree oven for 20 minutes give or take. 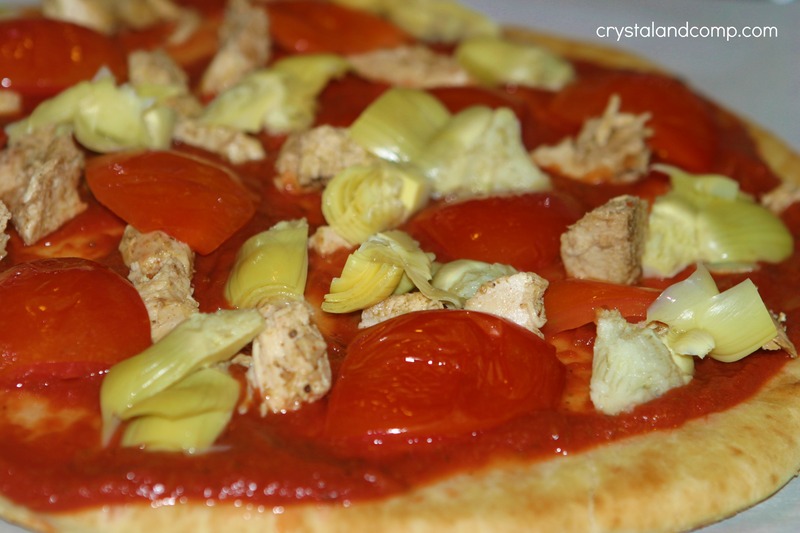 I loved this pizza, I am just starting out trying to cook at home and this is a great recipe to start with. Yum! Would be awesome with pesto, too! Annie- I LOVE pesto substituted as pizza sauce. Yum! What a fantastic pizza! So much colour! And it sounds very healthy with the delicious toppings you’ve added! Amber- it is super yummy too! Thanks for your sweet words. Let me know if you ever try the pizza. 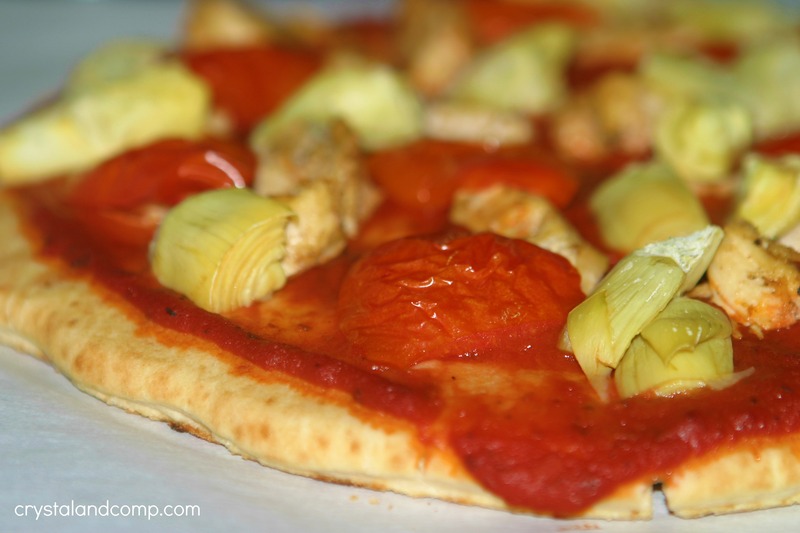 That looks so tasty and I love how you used the pre made crust! Very fast!